← Is It Cool For Me To Laugh At This? Released in 2004 by Activision, the game was a tie-in of the film of the same year. While some movie tie-ins can be a bit dull, this game ups the ante by granting you more freedom. Beyond the linear story and missions of the game, lie side-missions and down time where you’re free to explore Spider-Man’s Manhattan (and some of the surrounding islands). Basically, you can fart around ad infinitum before doing anything of consequence or importance. It’s like an allegory for my life! Bruce Campbell, he of the chin, provides snappy narration and some players from the film return for voice-over duties (including Maguire, Molina, and Dunst). My only complaint is that J.K. Simmons didn’t reprise his J.Jonah Jameson. Rosemary Harris doesn’t do Aunt May either. 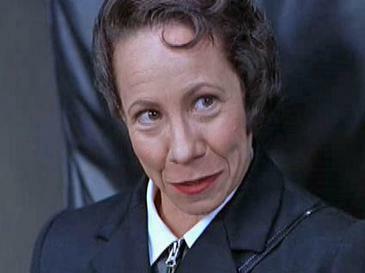 I do enjoy Mindy Sterling, however, and am glad to see her get the work! The city of New York looks fantastic. No, it may not feature your favorite corner deli or massage parlor, but the programmers have done a commendable job capturing the map, the neighborhoods, and several iconic buildings. You’ll see The Chrysler, The Woolworth, The Empire State, and–my favorite–The Flatiron (doubling as The Daily Bugle’s HQ). It’s even endowed with a vast Central Park, wherein you can beat up muggers and return purses to their rightful owners. Fun! The real highlight of this game is the spot-on harnessing of Spidey-mobility. It does web-swinging right. I don’t think I’ve ever felt such joy during game-play. The sensation of swooping in between buildings at break-neck speed, climbing up walls, and fearlessly jumping off skyscrapers is utterly fantastic. Years of reading Spider-Man comics and salivating over the films has truly paid off. Here’s the trailer for the game. I’m just going to go ahead and say it. I think this game has even enriched my comic-reading. I feel, and I fully understand how geeky this sounds, that I can identify more strongly with the Spider-Man experience now…all thanks to my game play. It has improved my ability to be a fan. Games, as opposed to most films, can go on for hours. As such, this one takes advantage of the run time and features more villains than just the one (Doc Ock) from the Spider-Man 2 film. You’ve got Rhino, Shocker, Black Cat…It even manages to make Mysterio a tad threatening. I’m hoping he’ll make an appearance in one of the next films. Lately, I’ve been going to sleep experiencing a Spidey-version of the Tetris effect. Instead of seeing blocky puzzle pieces descending down the backs of my eyelids, I’m left with the visual imprint of Spider-Man swinging around like an urban Tarzan. It makes for nice dreams. With two more Spidey films in the works, it’s likely that I’ll be entertained by future game adaptations as well… The bar is set now. Don’t let me down, programmers. Cuz, you know…with great power…. Here’s Michael Buble to sing us out.